For millennia, groups have joined together to help each other with health care needs. In the last century official groups of Christians formed health cost sharing ministries so those in the group could pool their money and look out for each other’s health care needs. These organizations offer health care coverage that is often around half the price of traditional health insurance with comparable benefits. That’s why many have found medical sharing ministries to be a great alternative to Obamacare and regular health insurance. Most of these health sharing ministries are strictly Christian. You must agree to live by biblical standards (regarding alcohol, sexuality and church attendance). 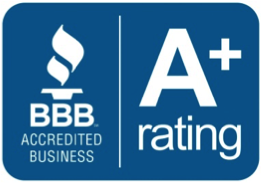 Aliera Healthcare has an A+ rating from the Better Business Bureau and is one of the more ecumenical health sharing ministries. It is faith based as well, but it has a more flexible statement of beliefs. You must agree to take care of your health and say that you believe in some sort of a God. These organizations do not offer “health insurance” in the strict sense of the word, and they are not licensed by the Department of Insurance. However, Aliera Healthcare operates very similar to health insurance. You pay monthly premiums, you have a list of benefits, and there is a PPO provider network. Also, Aliera contracts directly with providers so you do not always have to be applying for reimbursements like you do with the other HCSM’s. Other recognized healthcare sharing ministries operate more like a church ministry. They encourage the sharing of notes and prayers between members. They may also have you pay your monthly contribution directly to members rather than to the HCSM. Samaritan Ministry is especially this way. You do not pay your monthly dues to the organization but to other member who have medical needs. Members often write letters of encouragement, pray for each other and share prayer needs. Some families love the personal touch of Samaritan Ministries. They love that they are contributing to the needs of likeminded families. They enjoy the letters and prayers. Others have complained that Samaritan Ministries is a lot of work. You have to pay up front for your medical costs. Next, you have to submit paperwork every time to get reimbursed. Then, you have to wait for people to send you checks, and if your medical expense was large it might take some time to get all the checks to cover that expense.